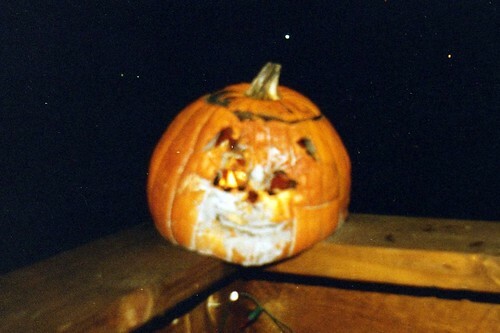 This is Jack-O-Lantern Joe in all his burning glory. 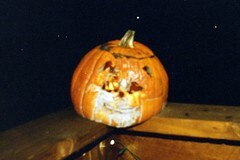 After that, Jack-O-Lantern Joe just got scarier and scarier, as you can see in these last two pictures. Eventually, I got up enough courage to pick him up (with a spatula) and salute him as he dropped three stories into the bushes below.